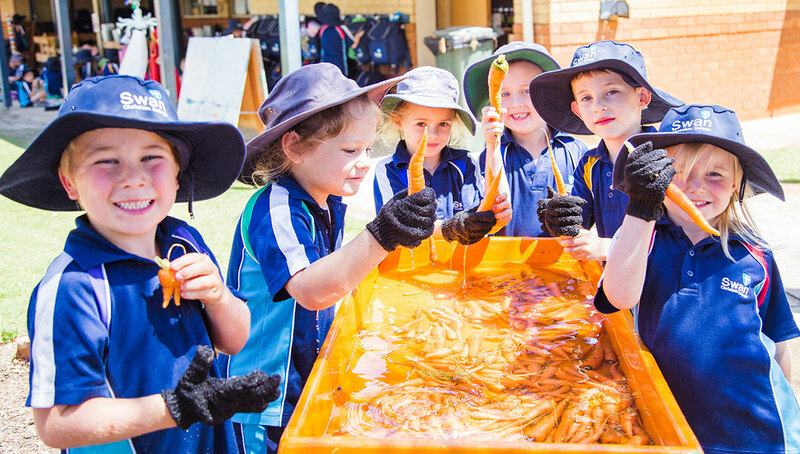 After lots of hard work and care, the Pre Primary students were excited to finally harvest the potatoes and carrots that they planted in Term 2. The Pre Primary students worked together to plant a vegetable garden to produce vegetables which will be used by the Super Soupers program to make soup for the homeless. Once all the veggies were harvested, the students scrubbed them clean to get them ready to be donated to Super Soupers. Mr Hockley kindly brought down some soup made from the vegetables, for the students to try. The consensus was that the soup was 'yummy' and the students are glad that it will go to help people in need.